Sandvik has signed an agreement to divest Hyperion to the US listed investment firm KKR at a price of 4 billion SEK. Hyperion delivers advanced wear-resistant tools, applications and components in hard and super-hard materials. 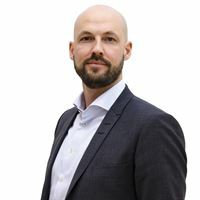 Hyperion, with approximately 1,400 employees, has in the last twelve months reported revenues of 3.2 billion SEK, representing 4% of Sandvik’s total revenues. “I’m pleased that we have found a new owner who will support Hyperion’s continued development. This agreement is an important step in focusing Sandvik on its core businesses. The divestment creates additional capacity for growth and expansion for the core business of Sandvik”, says Björn Rosengren, President and CEO of Sandvik. “Hyperion is known for its high-quality, effective products and has a loyal customer following. We see tremendous opportunity to help support the growth of the company and its customers by establishing the business as a standalone entity”, says Pete Stavros, Head of KKR's Industrials investment team. The intention to divest Hyperion was first communicated through a press release 3 May 2016. For further information, contact Ann-Sofie Nordh, Vice President Investor Relations, tel: +46 8 456 14 94 or Jessica Alm, Executive Vice President Group Communications, tel: +46 8 456 1288.